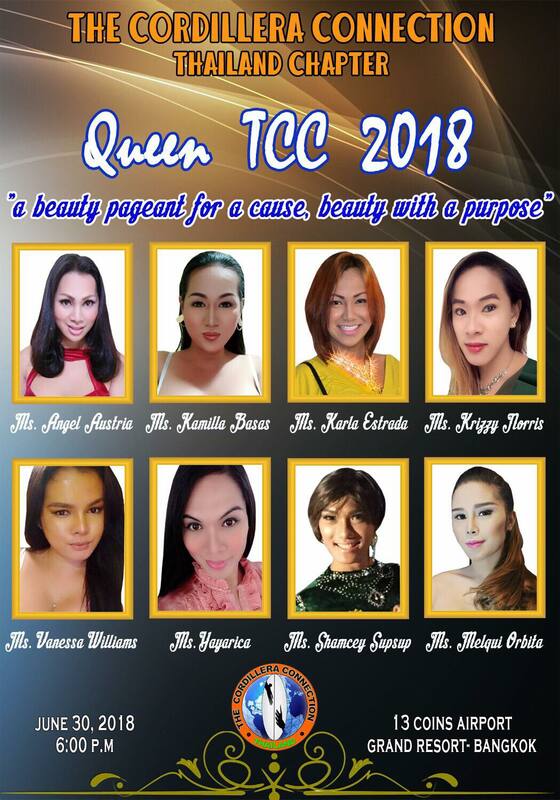 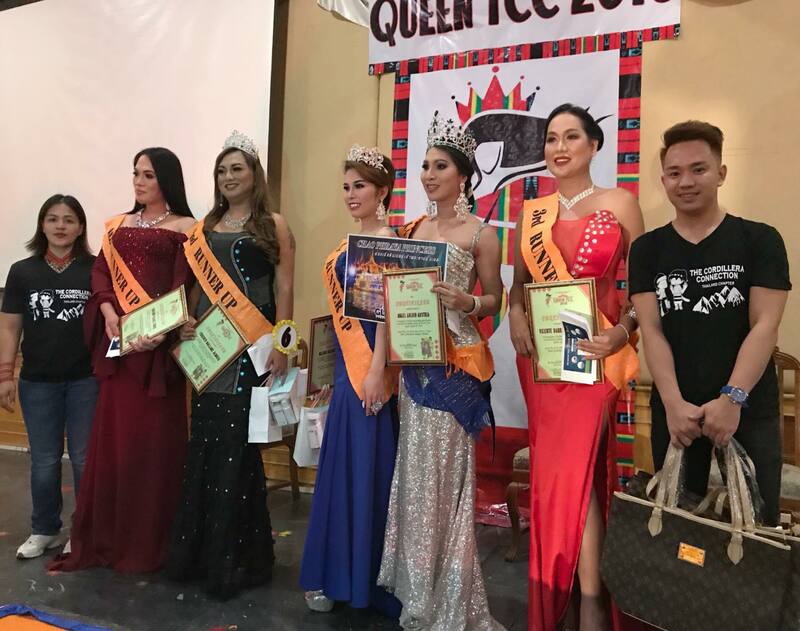 Dubbed as Queen TCC 2018 “A beauty pageant for a cause, beauty with a purpose”, The Cordillera Connection (TCC) Thailand Chapter is hosting its first Miss Gay contest on June 30 at 13 Coins Airport Grand Resort, Bangkok. Ticket is only 100 baht. Proceeds will go to distressed and hospitalized members of TCC Thailand Chapter. 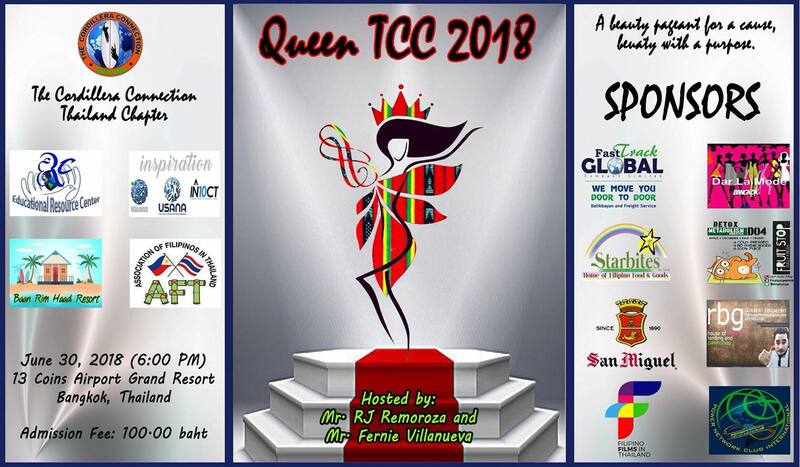 For more details, send a message to Mr Alvin Robert Galutan or join The Cordillera Connection Facebook group.